Start your own online business by giving your customers the ability to build their own website in just a few easy steps. The software comes fully equipped with everything you need to launch and maintain your own website building business. Responsive Design :Responsive design for all themes in user side. Responsive design for six templates. 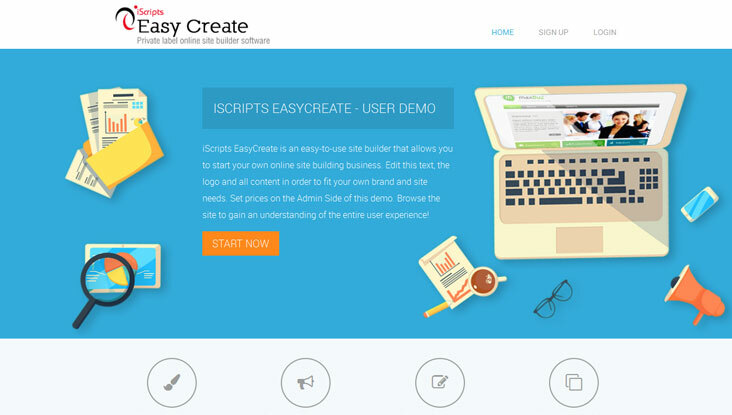 Easy-to-Use Site Builder : Equipped with drag 'n drop functionality, widgets and a WYSIWYG HTML editor, your users can quickly add custom forms, social networking widgets and more without possessing any technical experience. Built-In Image Editor : Users can upload images from their computer, edit them, include them in the photo gallery and add them directly to the site. 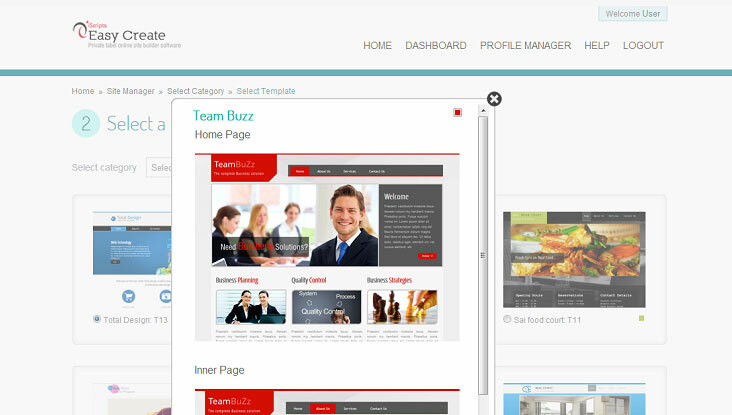 Crisp and Modern Templates : The software includes a wide selection of free templates featuring crisp and modern designs in different industries and themes. Admin Template Upload : Add your own templates into the system. Powerful Administration Panel : Stay in full control over your business with an admin panel that includes reports, user management, site management and more. Support for Popular Payment Gateways : Already included in the system. Just create accounts with these services and you can begin collecting payments immediately. Full Product Support : Easy setup with installation wizard and 1 free year of product support. Modify the site as you wish with unencrypted code. Define Your Price: Choose whether or not the site building feature you offer is a free or paid service. Set this fee yourself. Integrated Online Payment Solutions: PayPal, Authorize.net, 2Checkout and First Data payment gateways are included in the software to facilitate easy transactions. 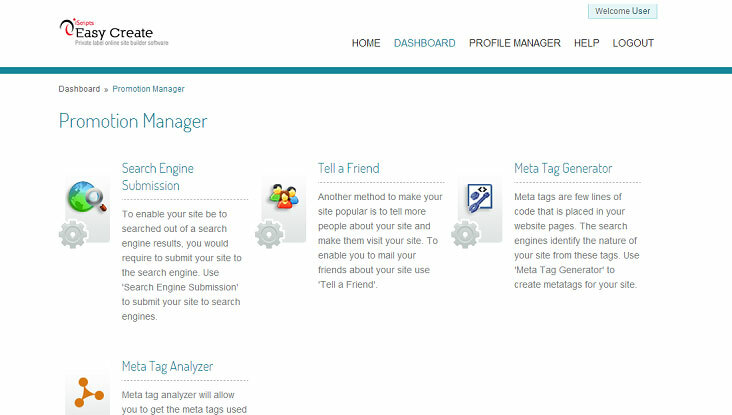 Your users can create their own site using the drag-n-drop interactivity and advanced site building tools. The software comes equipped with a number of preloaded templates, and you also have the ability to include additional templates of your choice. Your customers simply choose the name of their site and begin creating it using the convenient drag 'n drop functionality. 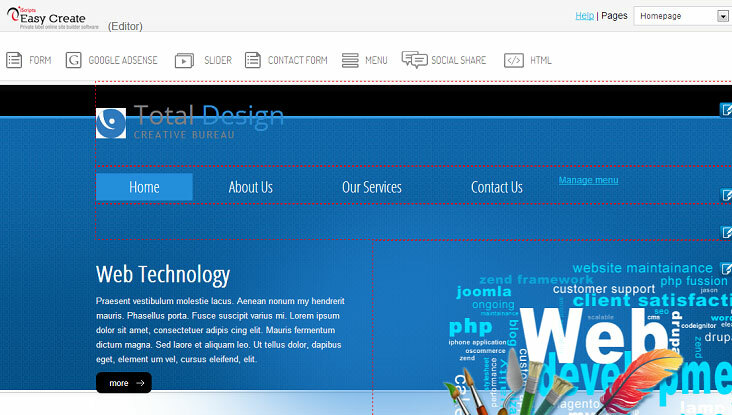 No programming, coding or HTML skills are necessary to create a professional site. Your customers can easily link to social networks by adding widgets to Facebook, Twitter and LinkedIn right on their website. Clients can earn additional revenue by adding the Google AdSense widget to their site. This optional feature allows your customers to display ads on their own websites. After building a website, your customers will have the ability to submit it to search engines, promote to friends, assign meta tags and even research meta tags of competitors - all from one login! The Gallery Manager is the collection of images uploaded by users. Here users can edit and use uploaded images during site creation. Hosted on Your Server: All files will be hosted on your private server as your property. Never pay monthly fees for using your software. 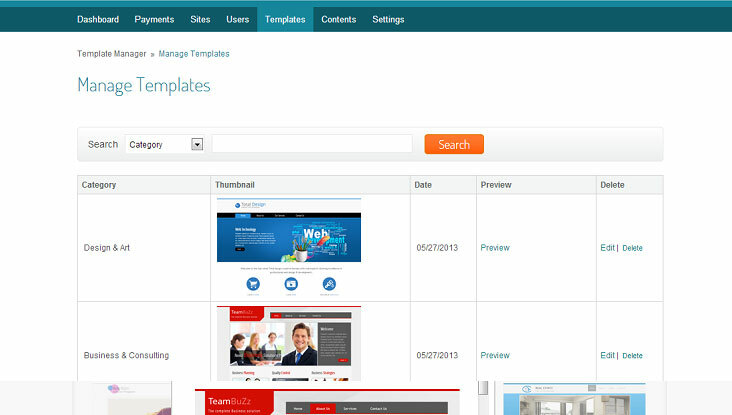 Unlimited Users: Add an unlimited number of templates, users and websites to the system. Choose Your Theme and Content: Choose the theme that best fits your site while using the CMS (content management system) to edit all text and copy on static pages. Customize your banner, logo and homepage.